It’s Friday the 13th…r u scared? Yes, Friday the 13th rolls around at some point every year, but 2012 isn’t just any year. 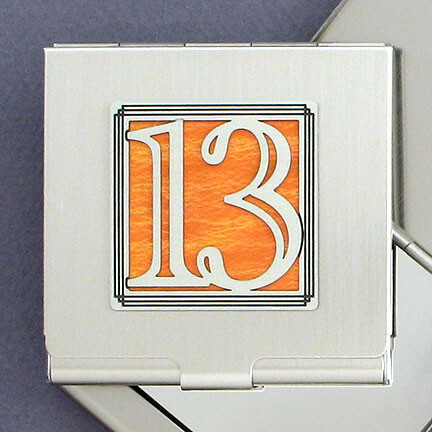 Today is the 1st of 3 Friday the 13ths this year, and what’s even more unusual is that they’re exactly 13 weeks apart (January 13, April 13, and July 13) – a rarity that hasn’t occurred since 1984. For most of us, the creepiness of Friday the 13th is a result of horror films we watched growing up, but do you carry any real-life superstitions about this particular day? Do you have any idea where this bad-luck belief comes from? Let’s start with the number 13. Why is it considered unlucky? Well, you may not know this, but in numerology, the number 12 is considered the number of completeness, which is evident in the 12 months on our calendar, 12 hours on our clock, and in Biblical times, the 12 tribes of Israel and 12 Apostles of Jesus. Some believe the superstition regarding an unlucky 13 is derived from the fact that 13 people attended the Last Supper before Jesus’ death. In German mythology, a Norse myth warns of dire consequences for dining in groups of 13. The belief that if 13 diners sat together, one of them would later die was so prevalent that some French aristocrats even hired themselves out as the 14th diner at various events. So what’s so bad about Friday? I don’t know about you but when I get to work I’m like “Happy Friday!” Pop songs like Rebecca Black’s “Friday” and Katy’s Perry’s “Last Friday Night” prove Friday to be a highly anticipated day in our culture. While we positively associate Friday with the beginning of the weekend, people throughout history have considered it unlucky. The association of bad luck with Friday dates back to the late 14th century when author Geoffrey Chaucer wrote “and on a Friday fell all this misfortune” in his book Canterbury Tales. Much later, a correlation between Friday and misfortune began to spread as numerous publications in the 17th century referenced Friday as an unlucky day to start a new venture (begin a journey, get married, give birth, move, start a new job, etc.). In Christianity, Jesus was crucified on a Friday. To us, Black Friday means killer Christmas shopping deals, but it has long been associated with financial crisis and other disasters. In the ’60s, a Philadelphia newspaper wrote that Black Friday was not a term of endearment, but instead a term for a crummy day that “brings massive traffic jams and over-crowded sidewalks as the downtown stores are mobbed from opening to closing.” I guess not much has changed about that! 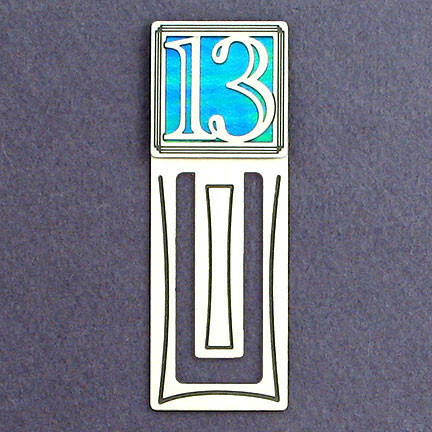 Since 13 is an unlucky number and Friday is an unlucky day, you can understand that some foster a fear of days like today. This fear is known as friggatriskaidekaphobia. Say what?! Let’s break that down – Frigga is the name of the Norse goddess for whom “Friday” is named, triskaideskaphobia is fear of the number 13 (from the Greek words tris which means “3”, kai which means “and”, and deka which means “10”; phobia is derived from the Greek Phobos, meaning “fear” or “morbid fear”). An estimated 17 to 21 million people in the U.S. are affected by a fear of Friday the 13th (according to the Stress Management Center and Phobia Institute in North Carolina), making it the most feared day and date in history! Some people are so paralyzed by fear that they totally avoid their normal routine. Some are so extreme they refuse to fly or even get out of bed. Interestingly, it has been estimated that $800 million is lost in business in the U.S. on days like today. Is the fear legit? Do more bad things happen on this day than on any other day? There are conflicting studies regarding the risks of accidents on Friday the 13th. Some believe fewer incidents occur because people are more cautious on Friday the 13th, or they just stay home altogether. As for driving, I guess it depends on where you live – in the Netherlands there are fewer auto accidents on Friday the 13th than other Fridays, but there are far more traffic-related accidents that day in England. As for the U.S. – I guess you’ll find out today on your commute home! It’s Friday the 13th – drive safe! Keep in mind, deaths that occur on Friday the 13th are often related to incidents that occurred in the days before. For instance, rapper Tupac Shakur died on Friday, September 13, 1996, but it was a result of being gunned down on the 7th.